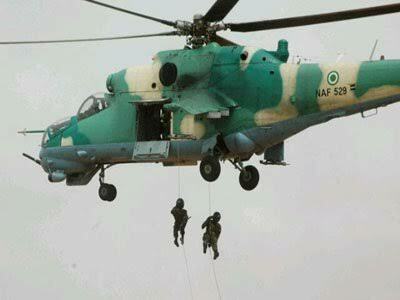 The Nigerian Air Force (NAF) has been striking hard on the fleeing Boko Haram attackers who invaded a military base in Metele village, Guzamala Local Government Area, Borno State. The air strikes led to the destruction of seven vehicles, including gun trucks, and eliminated all the terrorists in the vehicles. According to The Nation, there are indications that Boko Haram commanders and their foot soldiers who attacked the military base in Metele were non-Nigerians. A military source, who spoke last night, said the military hierarchy had decided to “smoke out” the insurgents behind the ambush and killing of scores of soldiers in Metele. As part of steps of involving all military cadres in the war against Boko Haram, the Chief of Army Staff, Lt.-Gen. Yusuf Buratai, has relocated this year’s Army Conference from Benin, in Edo State to Maiduguri, in Borno State. Although the conference will hold from tomorrow till Friday, many top Army officers already in Benin have been asked to proceed to Maiduguri. The Boko Haram attackers used rocket-propelled grenades, machine guns and AK47 rifles in raiding the military base where armoured vehicles were destroyed, and a number of officers and men of the Nigerian Army killed. The officer said: “The Nigerian Air Force is following the trail of the terrorists and has successfully destroyed about seven vehicles, including gun trucks, and eliminated all the terrorists in the vehicles. ”The Air Force deployed the Mi-35M, multi-role combat helicopters which deliver a more superior flight performance with high-precision weaponry in destroying ground targets. 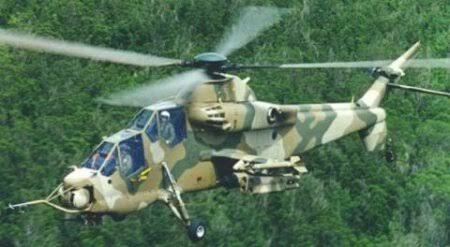 ”Meanwhile, the aircraft also crossed the border into a neighboring country in hot pursuit of the where terrorists. Stolen armored vehicles were destroyed. The Boko Haram attack sparked an outrage in the Senate and in the public. Videos and photographs purporting to be those of the attacks surfaced on the social media. The military denied their authenticity. Most of the Boko Haram commanders and their foot soldiers who attacked the military base are believed to be foreigners. Another intelligence officer told PRNigeria in confidence that the attackers were speaking Arabic, French and some foreign languages. The officer said: “Some of our soldiers who escaped after the rescue operation told us that the attackers were dressed in military camouflage similar to the one worn by member-countries of Multi-National Joint Task Force (MNJTF). “We learnt that the attackers were not Nigerians as they spoke in Arabic, French and other strange languages when they first appeared like friendly force before they started to shoot at Nigerian troops. ”There is heighten suspicion that the deadliest attacks could not have taken place without collaborators, probably within the military camp or the host community who could have been communicating with the terrorists before and after they stormed the locations. A source said: “In solidarity with the soldiers on war front and as part of steps to involve all military cadres in the battle against the insurgents, the Chief of Army Staff has relocated this year’s conference of the Nigerian Army from Benin to Maiduguri. “The relocation was an impromptu decision. Buratai wants all officers to be in Maiduguri for on the spot assessment and brainstorming on how to curtail the surging ambush from the insurgents. Meanwhile, the Nigerian Air Force (NAF) continues heavy airstrikes against Boko Haram terrorists’ locations and vehicles.